The Supreme Court of India on January 8, 2008, refused to accede to a pil plea seeking deletion of the word 'socialist' from the 'Preamble' to the constitution. The court said that the word 'socialism' means "welfare measures for the citizens" and should not be interpreted in a narrow sense defined by communists. The court, however, agreed to hear the public-interest petition that had also sought to strike down another provision (section 29 A) of the Representation of People Act, 1951, requiring political parties to adhere to socialism for being recognized. 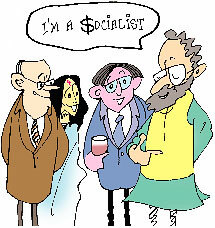 After hearing the contention of the petitioner, Good Governance India Foundation (ggif), a Kolkata-based ngo, the court has issued notices to the centre as well as the election commission to look into the issue of derecognizing political parties that do not adhere to socialism.The word 'socialist' was added through the 42nd amendment to the constitution. The petition had challenged the validity of the amendment saying the insertion has ascribed a political ideology to the word. The amendment came about during the emergency and was a direct assault on the civil liberty, says Sanjiv Agarwal of ggif. " While most of the deleterious amendments were reversed during the 44th amendment in 1978 and by later judgements, the word 'socialist' was left as it is," he said. It came in handy on occasions when democracy was abused, says Agarwal. The 44th amendment, which deleted the right to property from the list of fundamental rights made it easy for the government to acquire land for private players in the garb of public use, he says. Experts like Arun Kumar, professor of economics, Jawaharlal Nehru University in Delhi, however, say democracy and socialism can coexist, depending on the will of the government. Congress spokesperson in the Rajya Sabha Abhishek Manu Singhvi also calls 'socialism' a desirable paradigm, essential for allround economic development of the country. The pil comes at a time when the Left parties are unsure of the socialist agenda. Veteran cpi (m) leader told the media on January 3, 2008 that socialism is not achievable at this point..private capital has to be used while social welfare programmes by state governments must continue. cpi (m) however retracted the statement the next day saying Basu was misquoted. Nilotpal Basu, a senior cpi (m) member said, "Amending the constitution is the parliament's prerogative. Court can't decide on that."